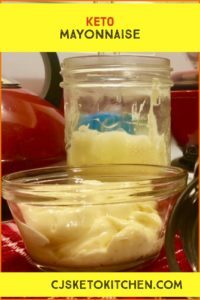 This week we bring you a easy to make delicious tasting recipe for Keto Mayonnaise, this recipe is easy to make, and you will love the fresh healthy taste of this mayonnaise, it will be difficult to go back to store bought. 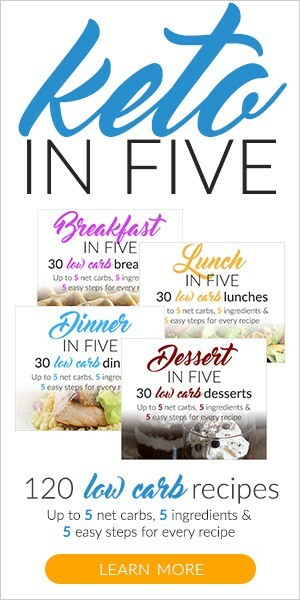 This recipe is from GrassfedGirl.com check out her blog, she has come great content. If your like me your probably thinking what’s the big deal can’t just buy mayo at my local grocery store. And the answer is definitely a “Yes” but the problem is that store bought mayo is full of a bunch of crap that is bad for you such as “soybean oil. 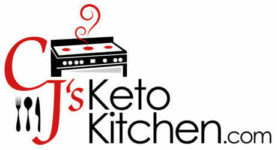 Soybean oil is known for its inflammatory properties and aren’t Keto friendly. Here is a eye opening blog post about Canola oil. *This could me made with a mixer using a whisk attachment. Make sure all ingredients our room temperature. In a wide mouthed jar combine all ingredients except your avocado oil (you will add that later). Mix with your immersion blender until the mayo becomes lighter and begins to thicken. Slowly begin to drizzle in the avocado oil while continuously blending until it has reach mayonnaise consistency. 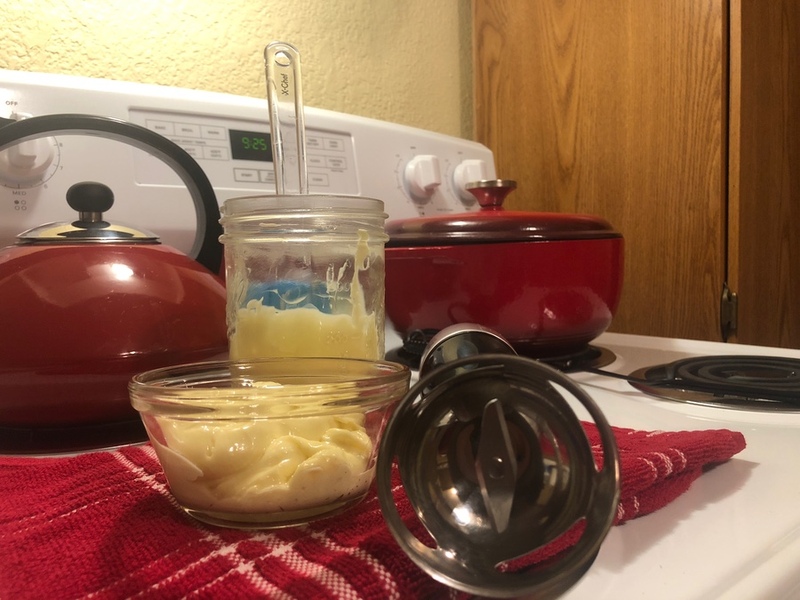 This makes 1 cup of prepared mayonnaise.